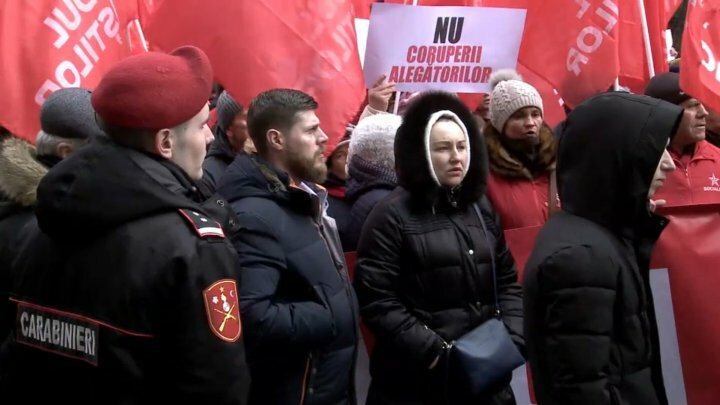 The PSRM members announce that a great rally will take place, but only a few people gathered to show they disagree that Igor Dodon President is blamed of interfering in the election campaign. Moreover, some participants were drunk, while others couldn't say why did they come. The rally should have been take place between 11AM and 4PM, but it finished in less than an hour. According to the polcie, over 1500 persons attended it. "They want to withdraw us from the election campaign." Some participants at the rally couldn't say why did they come at the rally. Also, the people of the law say that have been organized to come at the protest. Ion Ceban, the secretary of PSRM said that these people have been organized to come at the rally. "Some of them came by themselves, while others have been organized to come", said Ion Ceban, PSRM secretary. Some of them were drunk. A man felt bad during the rally. The representatives of CEC says that PSRM made a PR move by organizing this rally. "We won't comment on these actions, because this is just a PR move", said Alina Russu, CEC president. On Friday, CEC warned the Presidency not to get involved in the election campaign. Such a request in this sense was made by SOR party and the Liberal Party.